Dr. Bradford assumed leadership of the Department of Otorhinolaryngology at the University of Michigan on January 1, 2009. Dr. Bradford continues to serve as the Co-Director of the Head and Neck Oncology Program and Head and Neck Cancer Destination Program. She previously served as the director of the Head and Neck Surgery Division, Associate Chair of the Department of Otolaryngology for clinical programs and education, and Residency Program Director. She has long been a part of the U-M community. 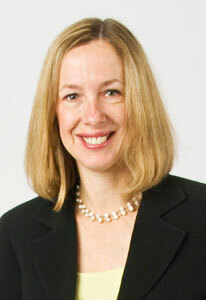 Dr. Bradford began her academic career at the University, and earned her B.S., M.S. and M.D. degrees here. Following her residency at U-M, she joined the faculty in 1992. Dr. Bradford specializes in head and neck cancer surgery. She was the recipient of the Physician of the Year Award from Castle Connolly in 2009. She is President of the American Head and Neck Society. She also serves as the lead surgeon of an annual Head and Neck Surgery Mission Trip to Honduras. Her translational research efforts are directed towards the study of biomarkers that predict outcome in head and neck cancer patients and the design of novel therapies to overcome resistance to treatment. She has pursed several leadership training opportunities including the prestigious Executive Leadership in Academic Medicine Program for Women at Drexel University, the University of Michigan Healthcare Leadership Institute, and the Global Institute for Leadership Development. Dr. Bradford is the honored recipient of several mentorship awards including the first ever “ALOT” award given for mentorship by graduating senior residents in Otolaryngology, the Jeanne Cady Solis Award for American Medical Women’s Association Mentorship, and the Token of Appreciation Award by Medical Students (TAMS).